A whopping amount of Rs 9,500 crore has been reserved by the Reliance Foundation for Jio Institute that will be set up across 800 acres in Karjat near Navi Mumbai. 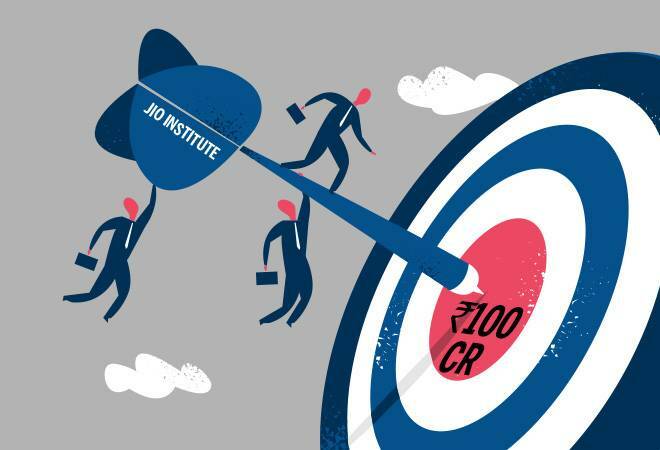 In the midst of the Institute of Eminence tag uproar, Reliance Foundation has claimed that Jio Institute is projected to earn Rs 100 crore from 1,000 students in its first year of operation. These details were provided by the institution in its application to the central government. It also mentioned that these figures were likely to double in the second year. In its second year, the earnings from tuition and hostel fee would increase to Rs 208 crore from 2,000 students. The Ambanis are also planning to waive off Rs 38 crore as scholarships for meritorious students in the first year, which will subsequently increase to Rs 76 crore in the second year. A whopping amount of Rs 9,500 crore has been reserved by the Reliance Foundation for Jio Institute that will be set up across 800 acres in Karjat near Navi Mumbai, as mentioned in Financial Express. According to the proposal submitted, the institute will offer 200 seats in humanities, 60 in media and journalism, 300 in natural sciences, 250 in engineering and computer science, 50 in performing arts, 50 in urban planning and architecture, 125 in management and entrepreneurship, 90 in law and 80 in sports sciences. The Ambanis are expecting to dole out Rs 154 crore in expenses, out of which Rs 93 crore is expected to be spent on salaries and other benefits for the faculty and staff members. They are also planning to hire teachers from the top 500 global universities, as mentioned in the report. In the 15th year of operation, Jio Institute is projected to have 10,000 students and the net revenue, after fee waivers is expected to be Rs 1,502 crore. On July 9, HRD minister, Prakash Javadekar, announced that the Ambanis' Jio Institute was selected for the status of 'Institution of Eminence', along with bigwigs like IIT Delhi, IIT Mumbai, IISC Bangalore and BITS Pilani. News of Jio Institute's rise to eminence even before its existence created an uproar on social media. Netizens not only took digs at Jio Institute, Ambanis and the Modi government, who they believe were colluding to thrust the institute to the top, they also questioned the legitimacy of the four-member expert panel's decision. Eventually, the Ministry of HRD issued a statement clarifying how Jio Institute came to be picked. It clarified that Jio Institute was chosen under the greenfield category. "The purpose of this provision [for greenfield institutions] is to allow responsible private investment to come into building global class educational infrastructure, thereby benefiting the nation as a whole," the ministry said. The ministry also added that out of the 11 applicants, only Jio Institute satisfied all the parameters thereby ensuring the issuance of a Letter of Intent for setting up an Institute of Eminence.